Despite the numbers of mortgage approvals falling in February for the first time in six months, the Council for Mortgage Lenders remains positive that the housing market is returning to the activity levels last seen at the beginning of 2016. However, activity has not been increasing equally across all consumer groups, the Council suggests; first-time buyers are responsible for driving a large proportion of growth while home-movers and buy-to-let purchases are lower than this time last year. Landlords have been affected by recent changes in legislation which prevents them offsetting their mortgage interest against their profits and home-movers have not been offered the same encouraging Government schemes that have been largely targeted at first time buyers. The Guardian, in contrast, has a more pessimistic view of the level of activity in the housing market, suggesting that there could be an overall slowdown due to rising inflation and the threat of falling real pay. Pressure on the housing market however will not necessarily lead to slower growth in housing prices as the shortage of new housing stock continues to keep prices high. Financial uncertainty because of pressures on real incomes does not appear to be constraining spending however, as the desire to retain levels of consumerism has sent credit card borrowing to an 11-year high, with many consumers finding accessing credit card debt easier than releasing equity from mortgages. 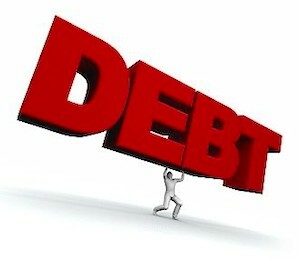 According to Larry Elliott of The Guardian, this increase in credit card debt is a major cause of concern to the banks.